Bacash is proud to present Wine Folke, an online store dedicated to our (and your) love of wine. You must have an account with Wine Folke in order to see pricing and to make purchases, for an invitation please contact Fiona. Established in 2011, Corofin is the new home for ex-Jackson Estate winesmith Mike Paterson and his partner Anna, until recently GM at TerraVin. At this early juncture, while Mike is contracted to another project and Anna busy raising the couple’s two young daughters, Corofin craft two (soon to be three) single-vineyard Pinot Noirs, each in tiny 100-150-case lots. You can read about two of these “pretty special Marlborough sites” below (the third being the Weavers’ ‘Waihopi Slopes’ at Churton). Not too far down the line we’ll see a little Chardonnay as well. For the time being the wines are made out of temporary digs at Fromm. Having spent the majority of their working years in and about Marlborough, Mike and Anna have no doubt regarding the potential of their adopted region, and were well placed to approach their first choice of vineyards. Indeed, Paterson’s selection of sites reflects both a winemaker’s enthusiasm for Marlborough’s Southern Valley hillside vineyards plus the dedication of certain grape growers whose vineyards he believes ‘act as a beacon of Marlborough individuality’. Not by accident do these growers focus on organic and/or biodynamic principles. In addition, Paterson’s artisanal approach in the winery does the necessary justice to each site; hand-harvesting and sorting, whole berry/cluster ferments, fermentation with indigenous yeast, no fining nor filtration and zero new wood, with the wines raised in 2-4 year old barrels. In a region where for much of the time money talks and terroir walks, Corofin’s 2013s show that great, singular terroir is thriving in Marlborough (a cliché that has sometimes hit troubled waters in its journey across the ditch). Paterson goes one step further in demonstrating that precocious, ripe Marlborough Pinot can be made without confected fruit, nor winemaking artefact—Paterson’s are beautifully aromatic, detailed and sculpted Pinot Noir, which combine the best of all worlds: finesse, freshness, terroir transparency. We can already tell you he’s got a similar way with Chardonnay. 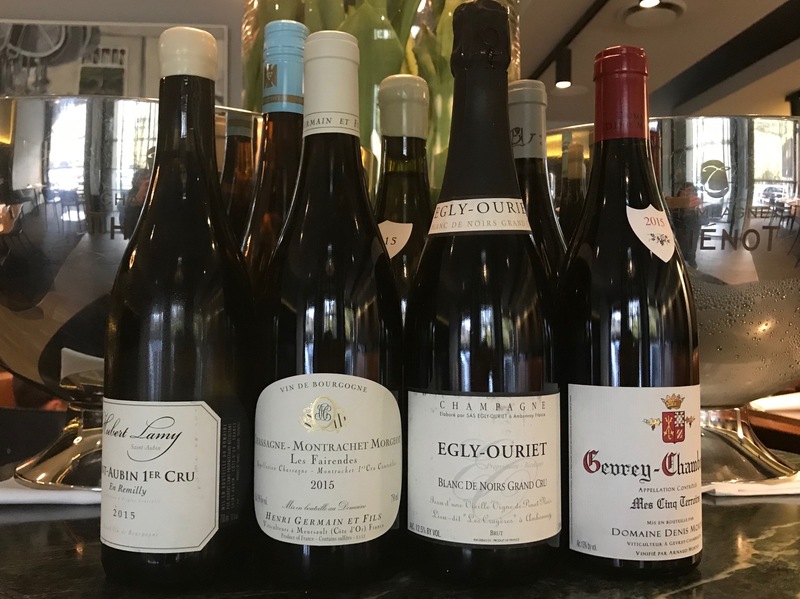 The wines have the aromatic prowess and elegant texture that will appeal to Burgundy fanatics, but also youthful generosity and reasonable price tag; qualities all Pinot lovers can get behind. In short, we’re delighted to be working with this talented and classy young project. The Rheingau wines of Robert Weil have reached well beyond cult status and today are revered across the globe as some of Germany’s most superlative Rieslings. Based in the town of Kiedrich, Weil’s wines are fuelled by the three epic, high altitude, south facing vineyards of Klosterberg, Turmberg and most famously, Gräfenberg, all situated in the foothills of the Taunus Mountains. From these historic sites, Wilhelm Weil, a pioneer of ‘earth to glass’ wine growing, guides Rheingau Riesling to its most seamless, precise expression and in doing so produces some of the world’s most inspirational Rieslings. 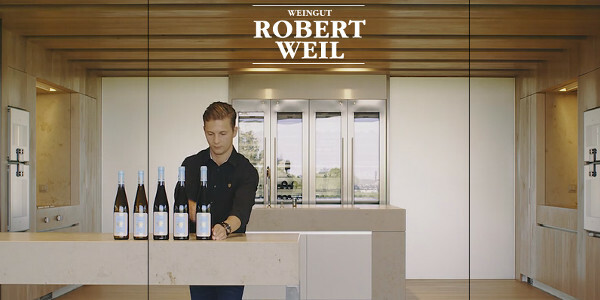 Nicolas Pfaff, the export manager at Robert Weil is currently in Australia and we are lucky enough to have him presenting wines for us at a special Robert Weil Wine Dinner at Bacash on Friday 21 October. 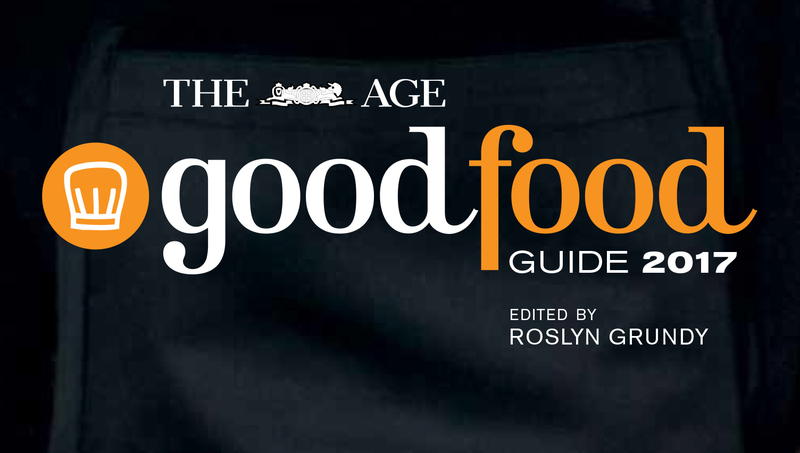 At the Age Good Food Guide awards on Monday night, Bacash received a 1 hat rating for the 2017 Good Food Guide once again! 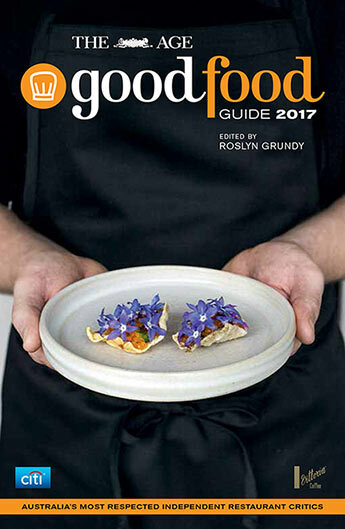 We are happy to have been awarded 1 chef’s hat for many years running and celebrated this achievement with other winning restaurateurs on Monday night. Read more about the awards evening on the link below. 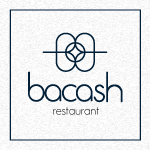 We want to take this opportunity to thank all our loyal customers, suppliers, and staff for the part you all play in helping Bacash to be a success. Highly acclaimed Western Australian wine maker Larry Cherubino dropped in today with some of his wines. 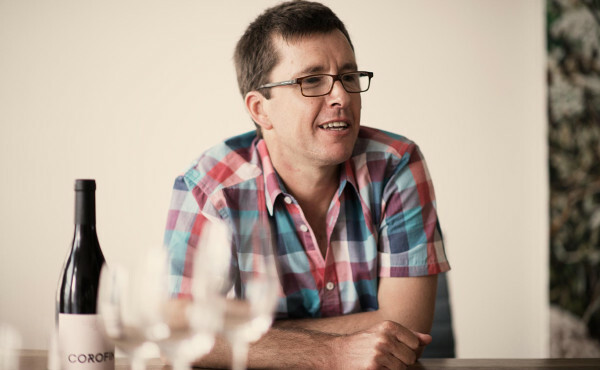 His first eponymous wine was released in 2005 and now includes five wine ranges including Cherubino and Laissez Faire. 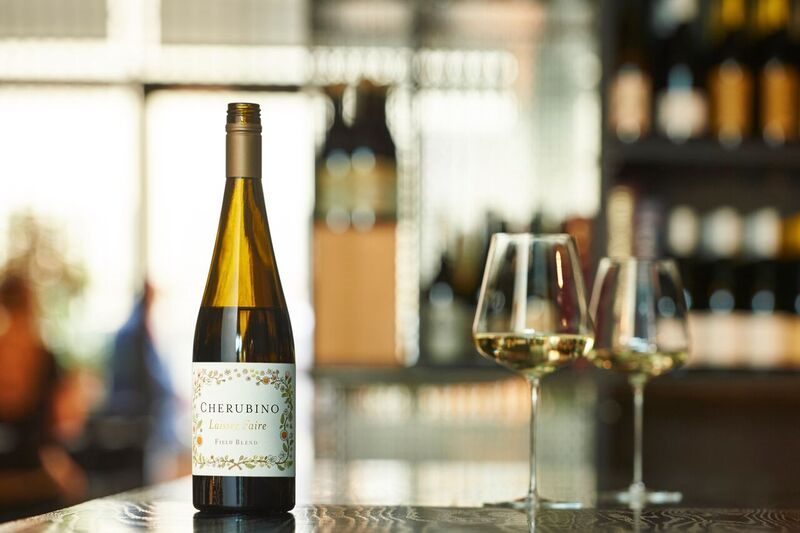 The Cherubino range was the first to land at Bacash, the Great Southern Riesling with its chalky minerality and zesty lemon and lime characteristics a great match for Bacash oysters. The Laissez Faire range reflects a hands off approach. A couple of years ago I had the Laissez Faire Porongrup Riesling and loved it, poured it by the glass in the restaurant. Healthy and sustainable vineyard practices and transparent and hands off winemaking produce naturally balanced wines. We will be pouring the Laissez Faire 2016 Fiano from Frankland River. It’s a delicious textural wine with tastes and aromas of late seasons fruits but with long and fine acidity.